As interest in initial public offerings (IPOs) heat up again ahead of the planned listing in the next few weeks by Eagle Cement Corp. and Cebu Landmasters Inc., now is a good time to review how last year’s IPO stocks are doing. In 2016, only four companies debuted at the stock market as global economic and local political uncertainties dampened corporate appetite to go public. Despite the elevated risks, most of the companies that did an IPO in 2016 reported better financial numbers last year and are trading at higher prices compared to their offering levels. 1. Golden Haven Memorial Park Inc. The first IPO of last year operates a network of eight memorial parks and five columbarium facilities around the country. It belongs to the group of companies owned by the family of billionaire Manuel Villar. Golden Haven’s revenue increased by 17.6 percent to Php814.6 million in 2016, the largest year-on-year increase for revenue in this list. The company’s net income experienced a similar 19.3-percent increase to Php180.2 million. “The growth was mainly attributable to the increase of sales of columbarium vaults and memorial lots,” it said in its annual report. Golden Haven also experienced the largest percentage increase in stock price. Opening at Php11.00 per share on its listing date, the company ended April at Php16.30 apiece, increasing by 48.2 percent. 2. CEMEX Holdings Philippines Inc. 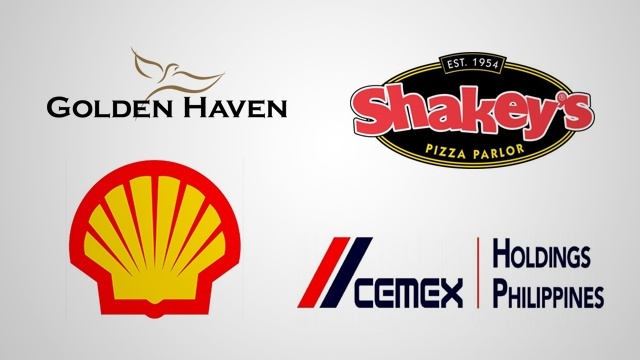 The youngest company on this list, CEMEX Philippines is the local subsidiary of Mexico-based global cement producer CEMEX incorporated in 2015. The company bought two local cement manufacturers at the start of last year: APO Cement and Solid Cement. The company reported revenue of Php24.8 billion, a slight 3.6-percent increase from its pro-forma 2015 figures. Its revenues were largely attributed to sales of cement products, which contributed 96 percent. Its net income stood at Php1.4 billion last year, a decrease of 35.3 percent from the year before. CEMEX Philippines’ share price closed at Php7.34 apiece at the end of April, a 34.5-percent decline from its opening price on its listing date. The decline in both net income and share price is attributed to weaker cement volume and sales, particularly in the first quarter of 2017. 3. Pilipinas Shell Petroleum Corp. 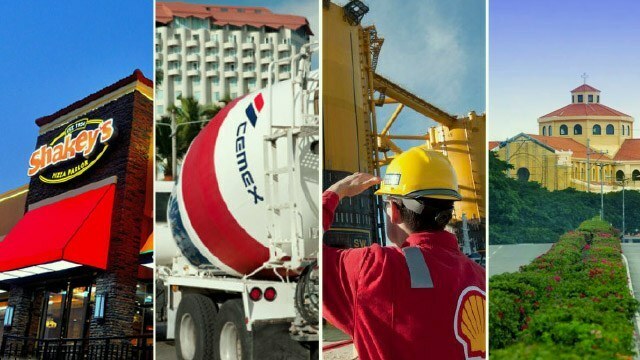 The biggest company in the list, Shell Philippines is the local subsidiary of Dutch-based global oil firm Royal Dutch Shell. Its November listing is the largest IPO of 2016 and the sixth largest in the history of the PSE. The company’s share price experienced a more modest increase. Shell Philippines’ shares stood at Php73.50 apiece as of end-April, a 9.7-percent growth from its opening price of Php67.00. 4. Shakey’s Pizza Asia Ventures Inc.
Shakey’s revenue jumped to Php5.9 billion in 2016, up 13.4 percent from the year before. The company attributed the growth to “sales contribution of new stores as well as same store sales growth of 3.9 percent in 2016.” (Shakey’s opened 17 new stores in 2016.) Likewise, its net income rose 58.3 percent to Php759.2 million last year. The company’s share price closed April at Php13.72 apiece. That marked an increase of 14.3 percent from its listing price of Php12.00 per share.